Hope everyone had a great weekend so far! A few nights ago, I made beef wrapped scallion pancakes for dinner. 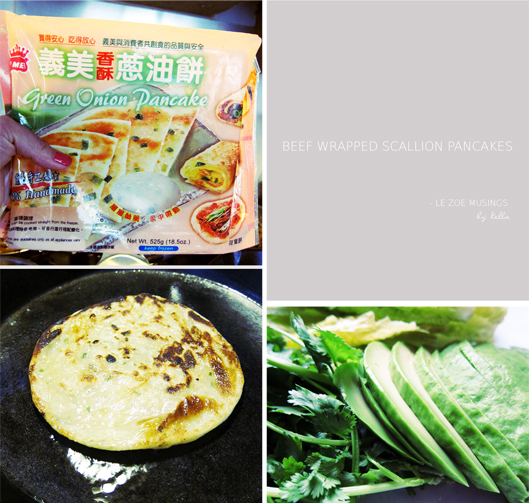 Scallions pancakes are so yummy and super easy to make. You can usually get these at Chinese/Taiwanese restaurants as appetizers. They are light, crispy, + flaky. If you want to make them at home, you can buy them in ready made frozen packages at Asian markets. I usually defrost the pancakes before I shallow fry them in a cast iron skillet. If not, they burn too fast on the outside and still doughy in the center. We usually enjoy these alone as appetizers. This time, however, I made beef wrapped scallion pancakes and had them as the main course. 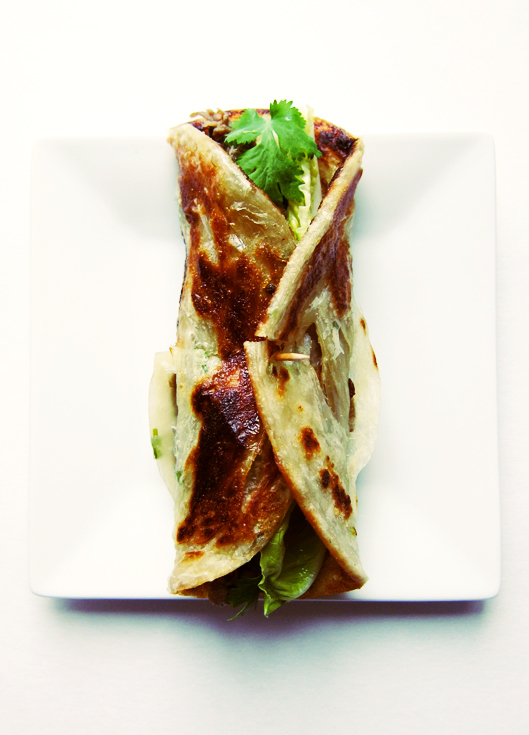 My recipe is not the original/typical way that beef wrapped scallion pancakes are made. I added my own ingredients. 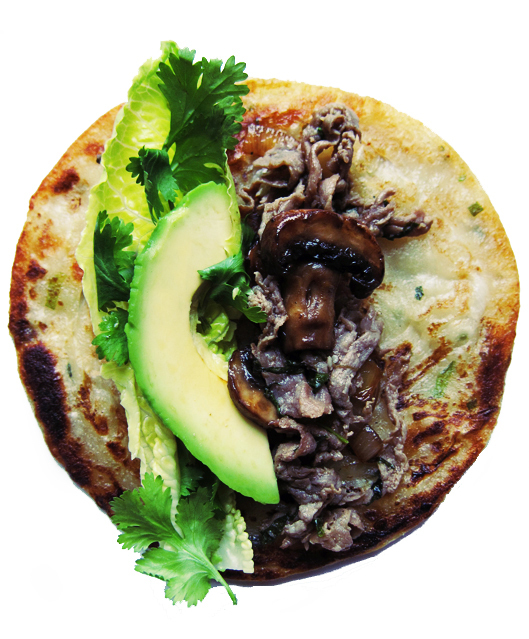 Usually, you would wrap the pancakes w/ beef and scallions. 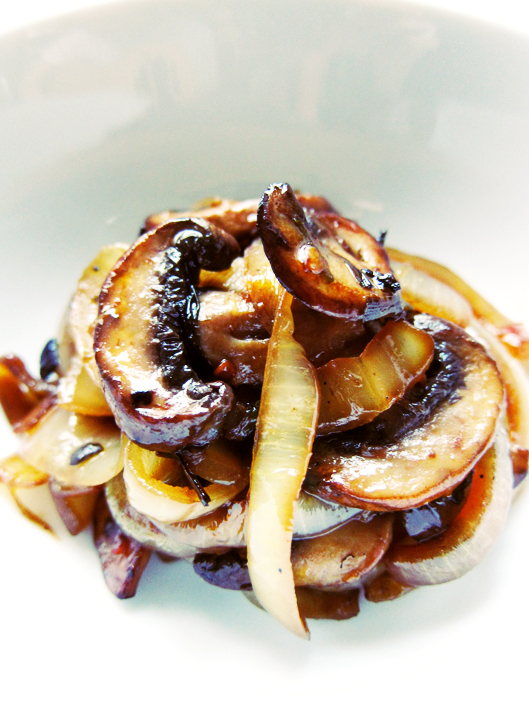 Instead, I sauteed onions and baby portabella (w/ salt + pepper) and skipped the scallions. 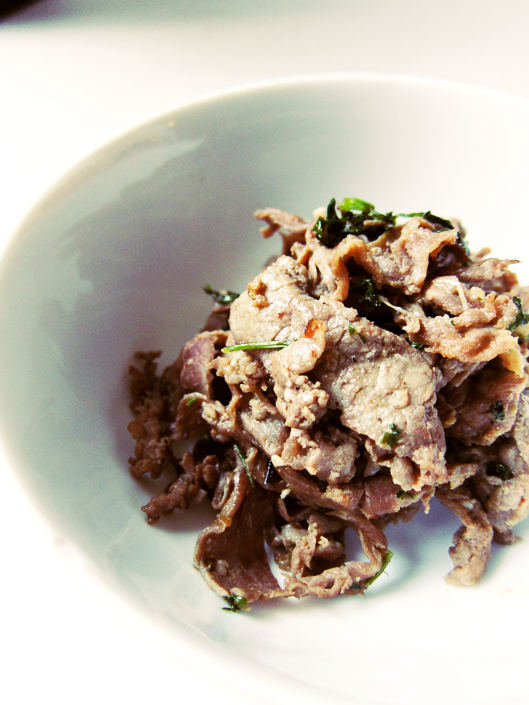 I used shaved beef and sauteed w/ cilantro, oyster sauce, soy sauce, salt, + pepper. 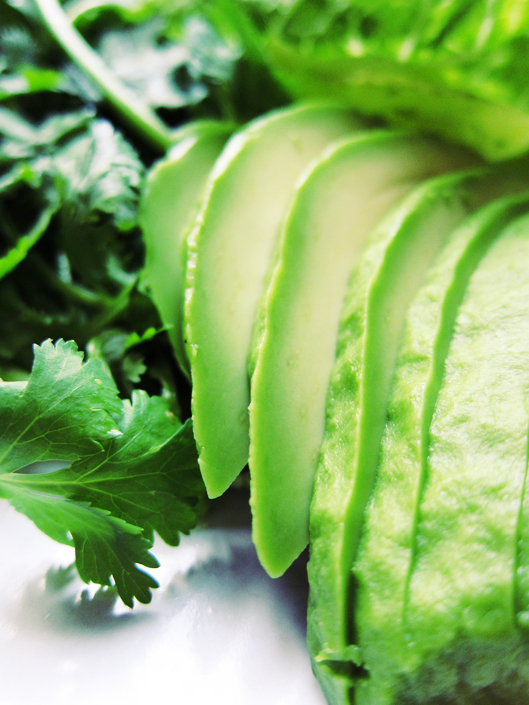 Avocados, cilantro, + romaine lettuce- again not the typical ingredients for this dish. Dipping sauce can be almost anything- plum sauce, soy sauce, hoisin, red chili sauce..your choice! Here’s a recipe to make scallion pancakes from scratch (almost). Have you cooked recently? If so, what did you make? Please share! I must admit when I first saw the name of the post my stomach got a little queasy 🙂 However after reading and looking at these pictures I will definitely be attempting this at home and eating it. I will be sure to let you know how it went. Thanks for giving me something new to try!! Sounds terrific; thanks for sharing! Thanks for sharing the recipe, must try it. Great photos too. Looks delicious! And great pics! Looks amazing! I must try this!